State of the art digital, wireless, photographic equipment. Offering instant viewing and printing capabilities so you can have the photograph mounted and in yours hands within a minute of being taken. Able to print in black and white, sepia and/or colour. Choose us to give your event an additional WOW factor! Capture arrivals, the cocktail hour, set up our StudioPhotoBooth, capture the evening's events, the list is endless! From Christenings, birthday parties, engagements, black tie, charity balls, proms, leavers balls, in fact anything involving people! Or your pets! We work around YOUR needs. Why go to all the trouble and expense to organise your event but not record it with professional photographs? We can also provide a PHOTOGRAPHIC GUEST BOOK available immediately for your guests to leave a message and for you to take home! Reportage style or posed, it is whatever you want! 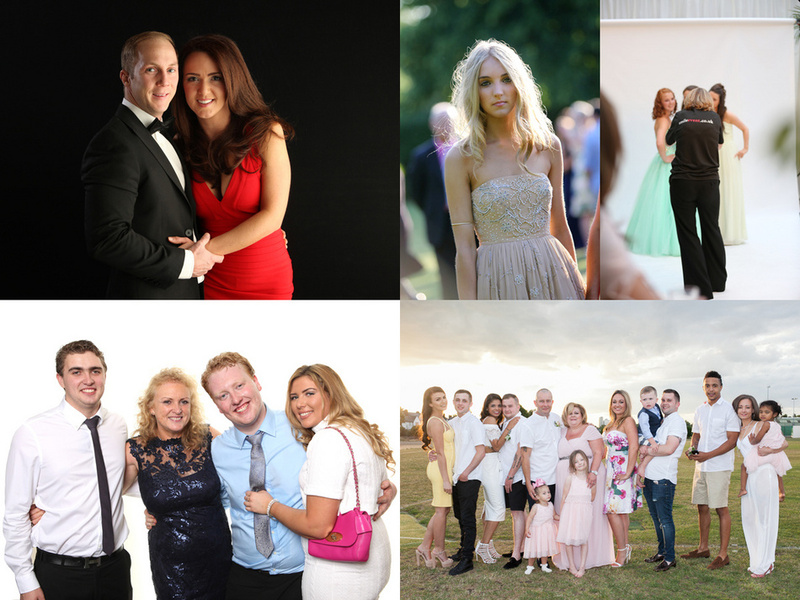 We offer a complete solution for all of your photographic needs. We can do 'Magazine Covers' and offer branding capabilities. Name your event, we could attend at no extra cost to you!